It’s a lovely sunny afternoon out, so why not let’s take a break from whisky and have a G&T. Or in my case, probably just the G as I’m not overly fond of T. It’s a G & ice for me please! 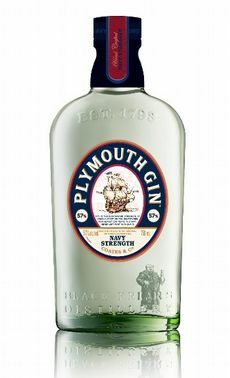 Info: For almost two centuries, Her Majesty’s Naval Fleet was sustained by Plymouth Gin and no ship left port without a bottle of Navy Strength 100 proof (57% abv) on board. The Royal Navy Supply Officers, or ‘Pussers’, needed to check that what they were buying was what they had ordered and so used gunpowder to test the alcohol level; if it was over 100 proof it would explode, with no explosion occurring if it was under strength. Nose: Bright and spirity, a little bite, tonnes of juniper as you’d expect. Palate: Thick and slightly creamy, the high strength gives the palate a nice bit of fizz. It’s slightly sweeter than the nose would make you suspect. Juniper at the front with just a touch of pepper behind, not too dry which is good in my book. Finish: The high ABV helps the finish to last a little while. Fruity and interesting. Thoughts: A pure and enjoyable gin at a nice high strength – more bang for your pound! Extra: Produced at Black Friars Distillery in Plymouth, this is/was the only gin in the UK with a geographical indication (GI), meaning it is/was governed by strict regulations and can/could only be made in the city using specific ingredients. However, sadly, the parent owner company, Pernod Ricard has “decided to withdraw support of the protected geographic indication for Plymouth Gin”, which means that as of Feb 2015 its status will most likely become unprotected, opening the door for it to be produced elsewhere. It’s had the usual PR marketing spin to make it a great idea, but it’s not. However, Pernod Ricard does hold the trademark for the brand, and promises to chase anyone else trying to produce Plymouth Gin. Thanks to my friend Andy for the sample. This entry was posted in Gin, Review and tagged Gin, Plymouth. Bookmark the permalink.